Madeline Finn wants a dog...she really, really wants a dog. She tapes pictures of dogs to the milk carton in the refrigerator and she lowers a drawing of a dog over the back of her mom's chair when she's reading. Finally, finally, Mom gives in and they head to the home of their friend, Mrs. Dimple, whose dog, Bonnie just had puppies. Madeline gets her wish. She finds the perfect puppy for her and names him Star. Star goes to a wonderful home where he/she is fed and read to and tucked in with a comfy blanket. This is where the story takes a turn and we ask a little more of our young listeners than the cozy world of girl and pup. 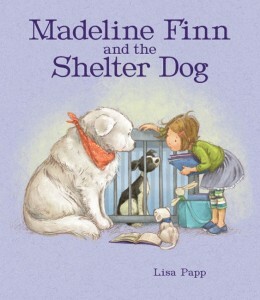 Mrs. Dimple invites Madeline and her mom to visit the animal shelter with her. Yep...gulp. 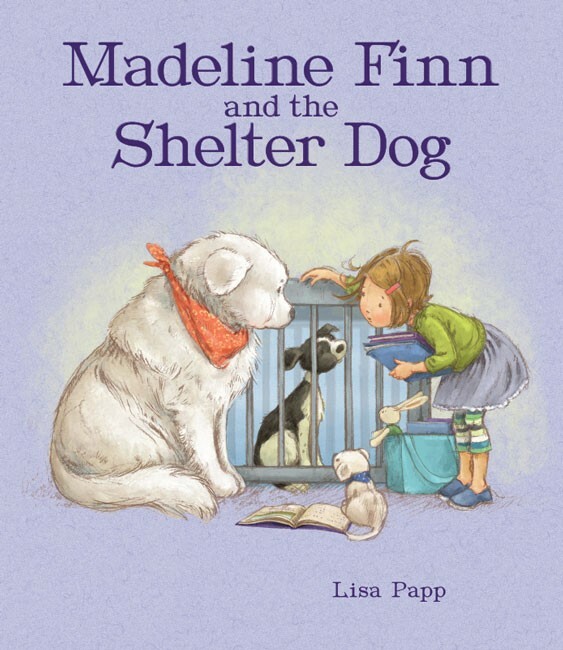 Beautifully and carefully the story leads Madeline to understand the difference between the life of her Star and the dogs in the cages at the shelter. No blanket. No story. No one to give them the all-important thing...love. It may require a small hanky or a couple of tissues to read the ending but it's worth every tear. Talk about empathy and compassion. This is one can teach empathy with one hand tied behind its back.